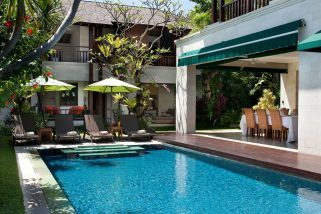 Villa Kalih is a grand two-bedroom villa that’s part of an exclusive villa estate located in a most sought after area of Seminyak. It’s also right next to Villa Siki, where if rented together, they can form a five bedroom retreat good for larger groups of people. 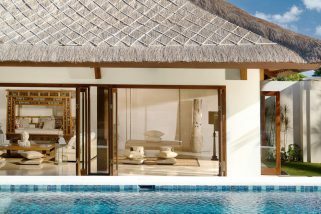 Both villas have their own private swimming pools and can be rented as a 5-bedroom, 3-bedroom, or 2-bedroom facility. 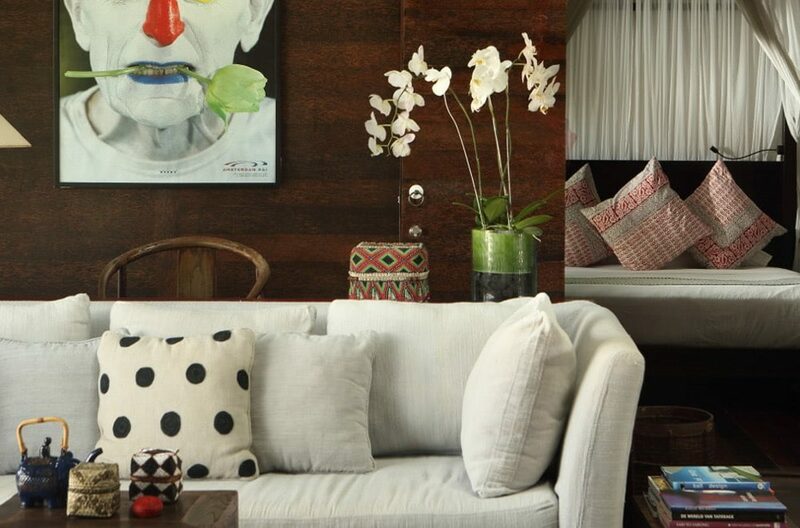 They also have stunning Asian artifacts, ornaments and wall prints as well as fine furnishings in the villas. There’s a private tropical garden you can enjoy, too! Enjoy the tranquil outdoor and pool surroundings while basking in the comforting sunlight. 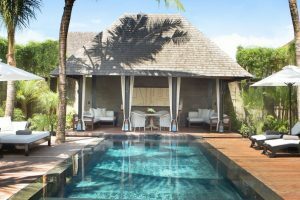 Soaring coconut palms fill the space flanked by a rich timber pool deck that houses stylish timber sun lounges with thick white cushions, shaded by a matching white parabolas outdoor setting. It’s truly a sun lover’s tropical paradise. The living area has 2 bedrooms that can comfortably sleep 4 guests. It provides a fully-equipped western kitchen, dining area and guests have the option to dine outdoors to enjoy the alfresco experience. To make your stay in Villa Kalih even better, it offers you high speed Wi-Fi internet access, flat screen TV in each room and a DVD player, too. The swimming pool is set into rich timber deckings with comfy daybeds for sunbathing. Air-conditioned bedrooms are all equipped with flat screen LCD television, DVD player and en-suite bathrooms. The bathroom features a bathtub, shower and toilet – providing you facilities that bring you comfort. The first bedroom offers a four-poster bed and a dressing area connected to the bathroom, while the second has two single beds, a separate dressing area and an en-suite garden view bathroom. The two villas are connected by a large private inner court that’s scattered with coconut trees so that you can feel connected with nature just by glancing out the window. The villa’s staff is composed of highly trained teams of butlers, maids, villa manager, 24-hour security guards, private cooks, personal assistant and pool and garden attendants. Our team can arrange in-villa massages, day tour outing, transport or special dinner bookings, or whatever it is you ask them to do for you. We’ll ensure that you, our treasured guest, will truly have a memorable stay at the villa and that you go home happy and satisfied. Seminyak restaurants, boutique shops and bustling nightlife are just a walking-distance away from Villa Kalih but is far enough for guests to enjoy some peace and serenity. 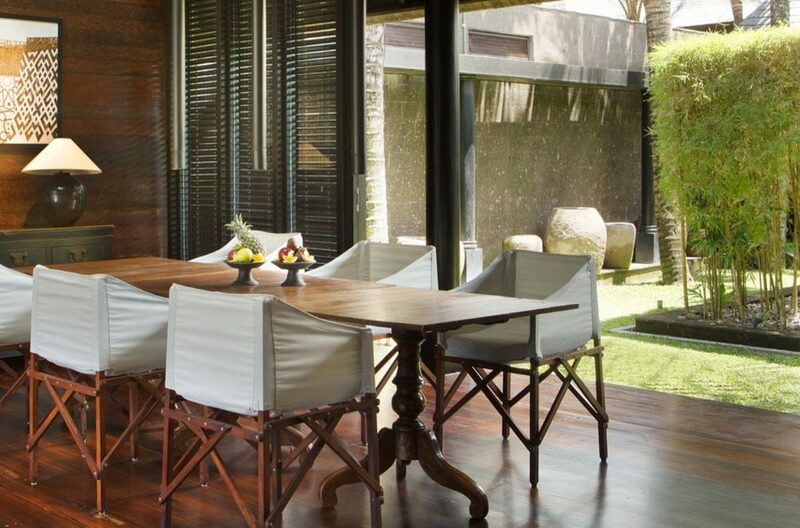 This villa is an ideal place to relax and unwind as it follows the Balinese concepts of comfortable modern-living. 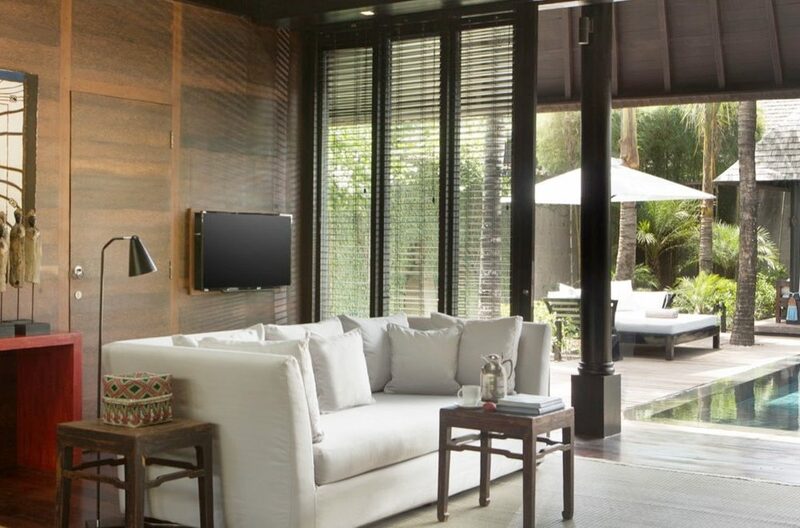 Villa Kalih is a great place to stay in during your vacation trip at Seminyak, Bali. 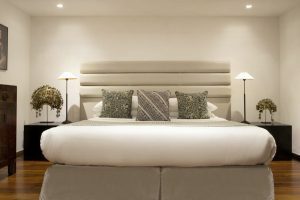 It’s equipped with high quality living areas such as bedrooms, bathrooms, dressing area, kitchen, private pool and garden and more. We offer the best facilities and services for our guests and our well trained staff will ensure that you enjoy your stay at our villa. 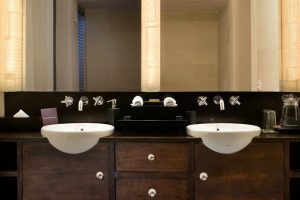 Villa Kalih also has plenty of accommodated rooms and appliances such as hair dryers and a telephone to make sure that you have everything you need. There are restaurants, boutiques and other nightlife venues nearby too if you want a change of pace, but you can also enjoy the serene and peaceful atmosphere at the villa. So, come and book Villa Kalih now and experience Bali like you’ve never before! 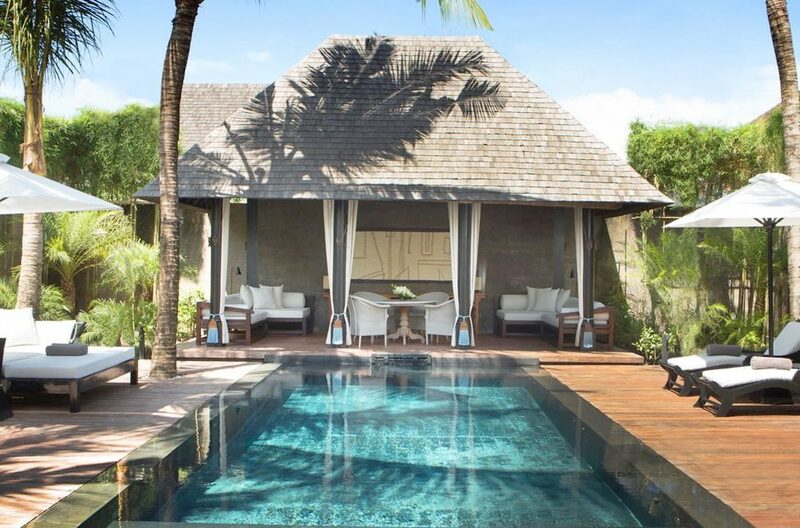 Located just 250mtrs from Seminyak’s Kudeta Beach, Villa Evaliza offers a luxurious property with the locale to match. Super affordable 2 bedroom private pool villa in FAB location, walk to spas, shops, restaurants. Your first moments at the magnificent Villa Shina Dewi will be spent in reverence. Nestled in idyllic Ubud, Villa Shanti Dewi is guaranteed to provide its lucky guests with a paradisiacal Bali experience.